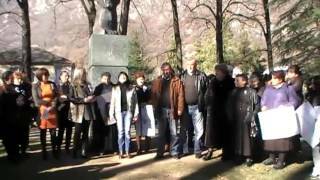 On November 30, 2016 there passed the next working meeting where beneficiaries of an initiative group of three villages: Kveda Tsageri, Chkhuteli, Gveso, and also stakeholders took part .The chairman of Sakrebulo i- B. Kurashvili, the Vice-chairman – B. Ghurchumelidze, the Director of service of veterans of Abkhazia in the region – R. Murtskhvaladze, the Vice-chairman of regional utilities l service – M. Kopaliani, representatives of women’s counsel working on women’s right and gender equality issues. 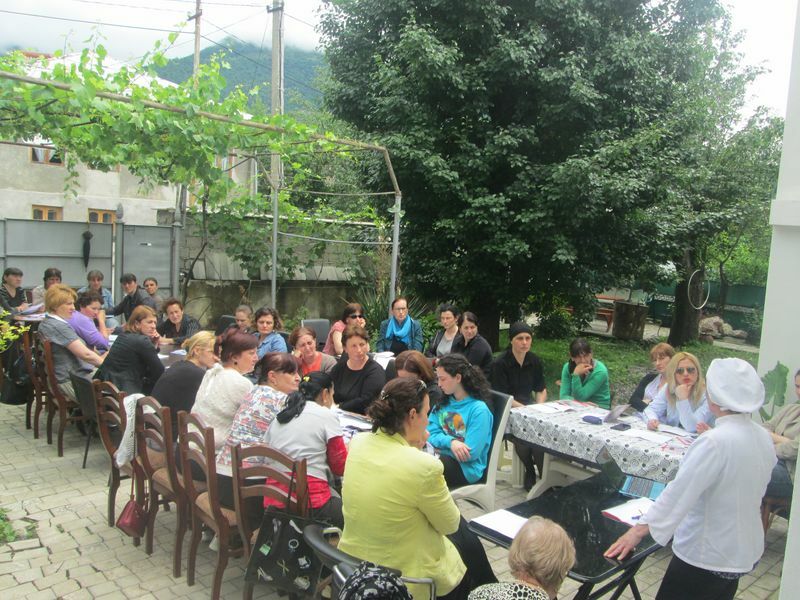 Meeting purpose: increase of involvement of beneficiaries and stakeholders in a process of development of the strategic plan of organization; Reflection of their recommendations in the Strategy of the organization that in the future will make more productive the work of the Fund of Women Entrepreneurs. At a meeting 20 people took part. 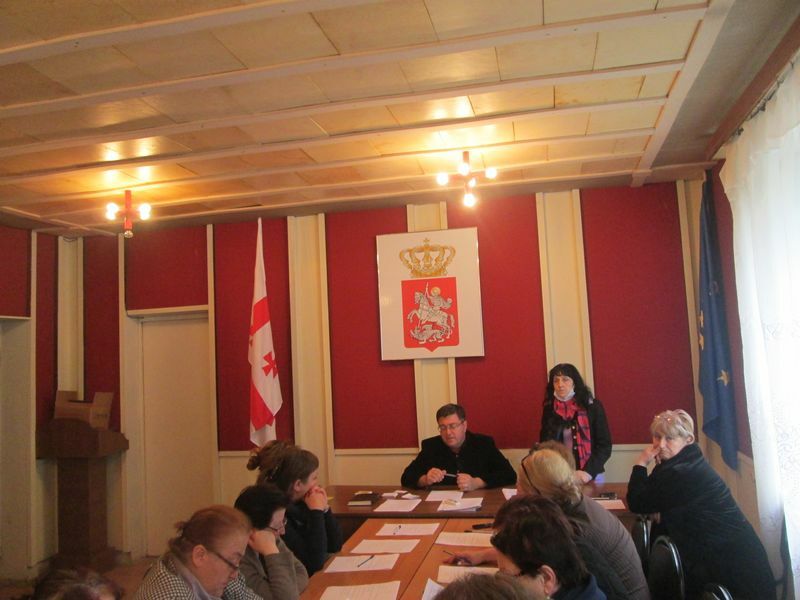 On October 20, 2016 “professional” held a working meeting, where beneficiaries of an initiative group of three villages: Kveda Tsageri, Chkhuteli, Gveso and representatives of local government structures took part. 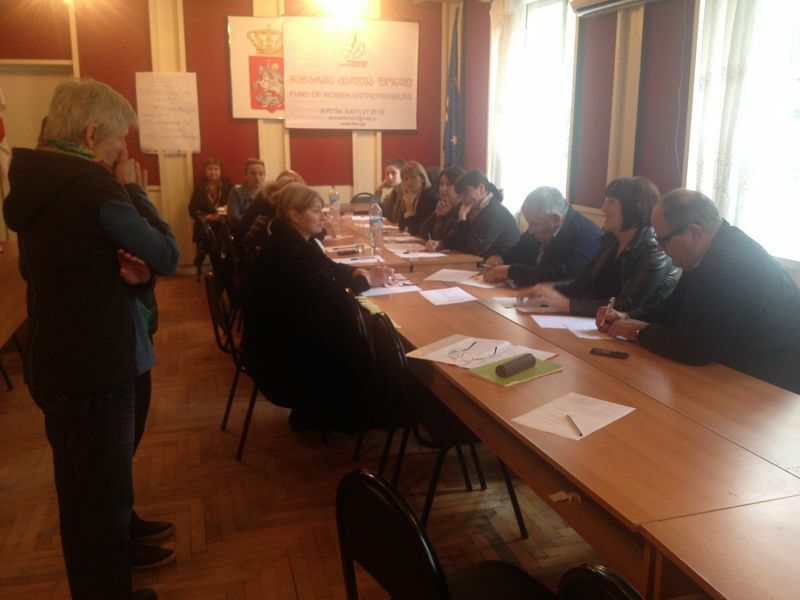 The aim of the meeting – Increase of involvement of beneficiaries and stakeholders in process of development of the Strategic Plan of the Organization. 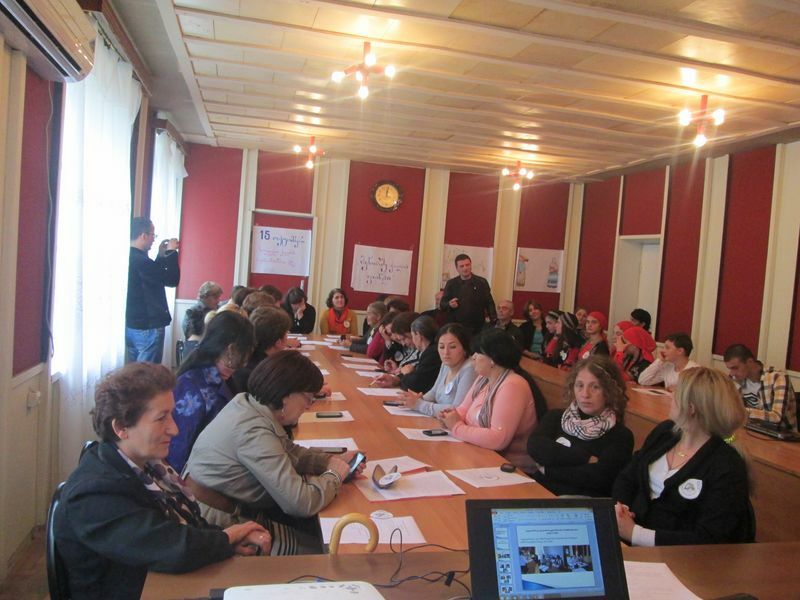 Their recommendations will be reflected in the Strategy of the organization that in the future will make more effective work of “Fund of Women of Entrepreneurs”. 12 people took part in a meeting. 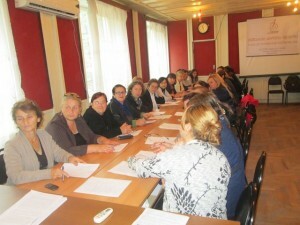 On September 28,2016 in the conference hall of Tsageri Sakrebulo the Fund of Women Entrepreneurs (NGO) organized a meeting with “Women initiative group” of three villages. 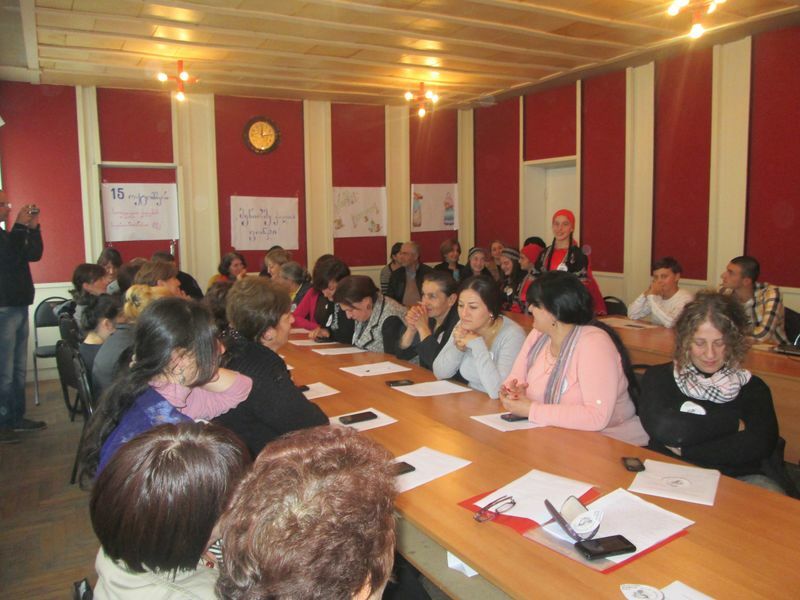 36 women took part in a meeting where they discussed the most actual issue -“Why the woman has to be active for political life of the region”. 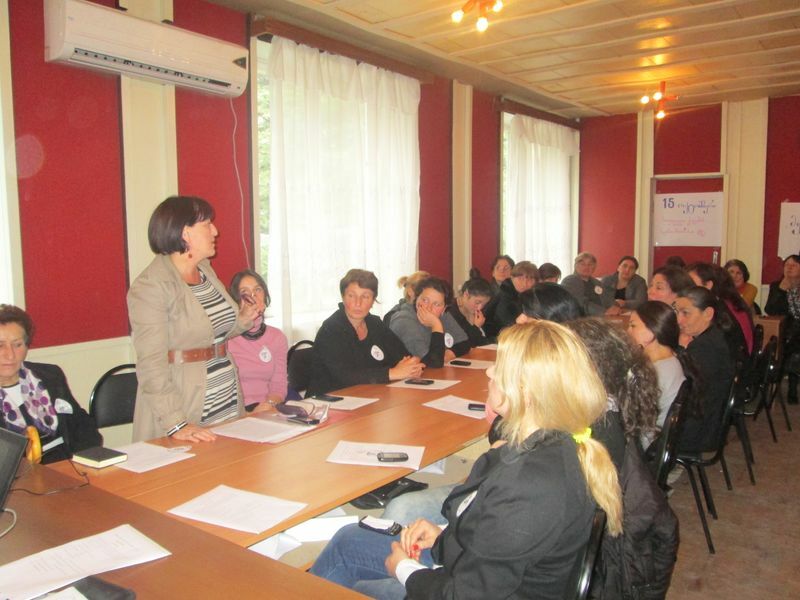 The meeting was opened by the chairperson of the Fund of Women entrepreneurs- Meri Gelashvili. 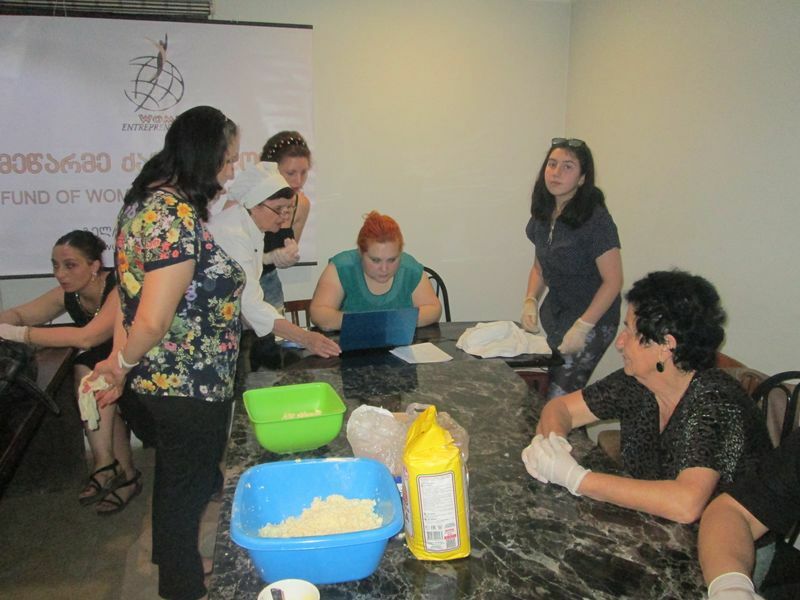 The information on abovementioned issue for attendees was provided by the lawyer of the Young Lawyers Association ( Kutaisi branch) Zaal Gorgidze, who has been invited by the Fund of Women Entrepreneurs.. 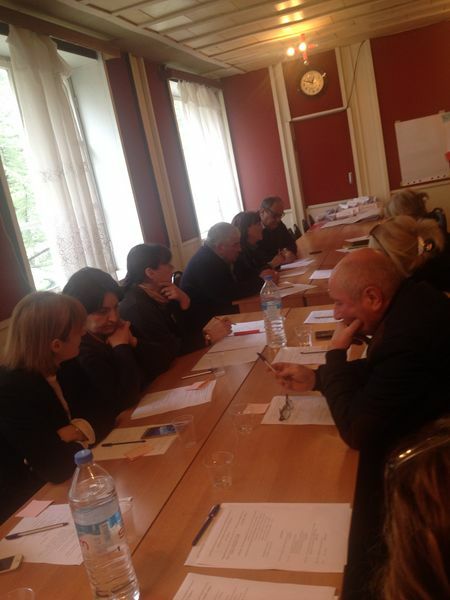 The meeting has taken place actively and has attracted great interest among attendees. 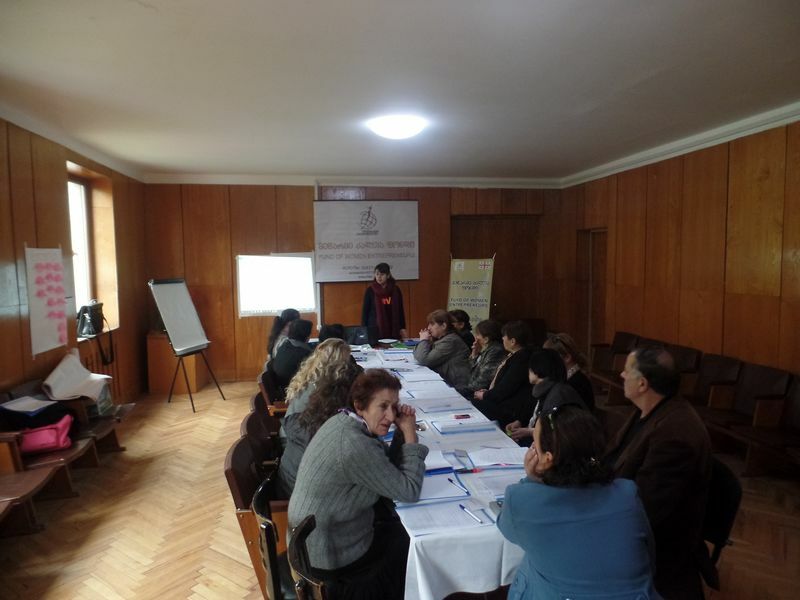 The fund of women entrepreneurs thanks Tsageri Sakrebulo for allocation of the conference hall. 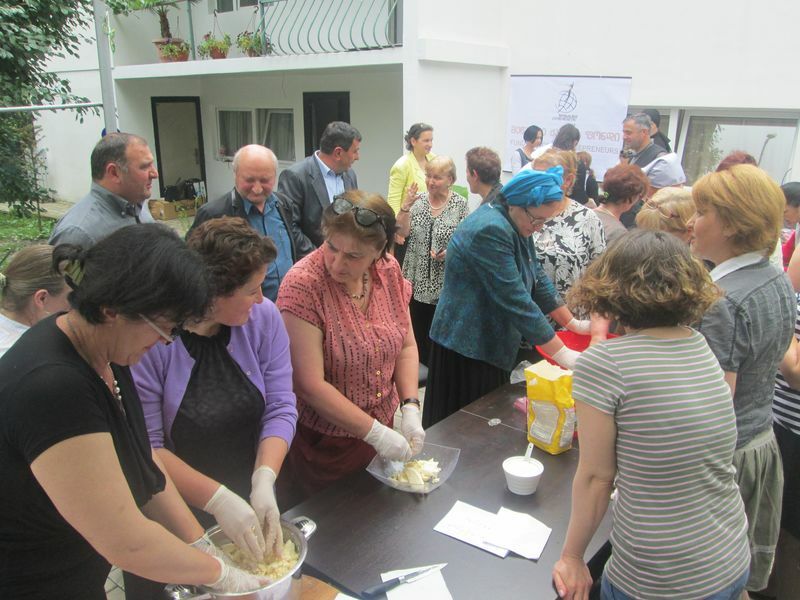 On September 28, 2016, in a frame of the project “ Sustainable development of women in Western Georgia – development of professional and personal skills” in Tsageri was held master class on “ Baker Specialty” by the initiative of the Fund of Women Entrepreneurs and by the request of beneficiaries. 15 person took part in this master class. 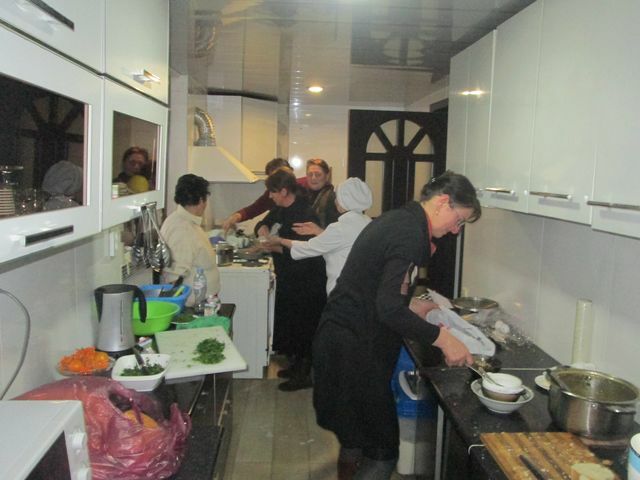 Including employees of the guesthouses from the villages of Kveda Tsageri, Gveso and Chkhuteli. 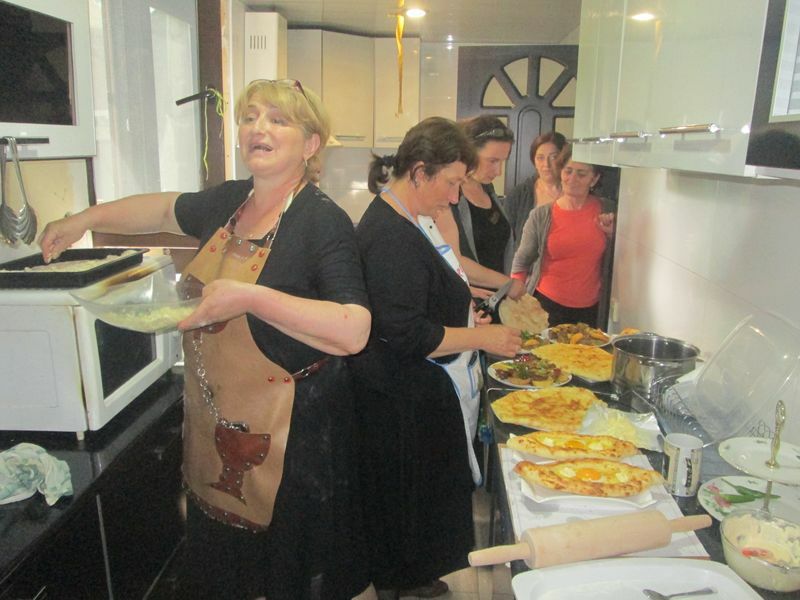 Master class led by a professional cook Ms. N.Nachkebia. 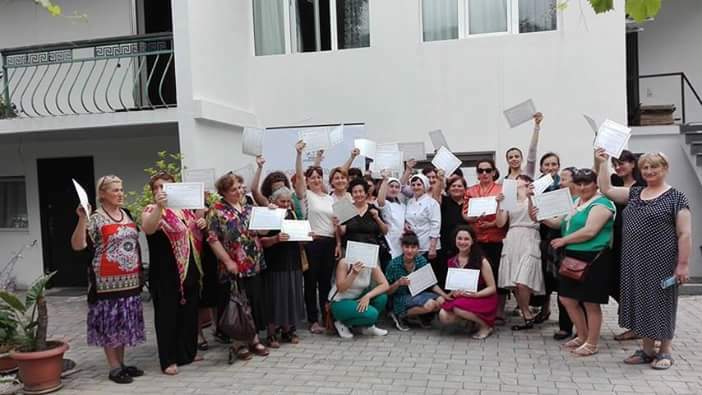 The main aim of the master class is : women’s professional development and increase employment opportunities. 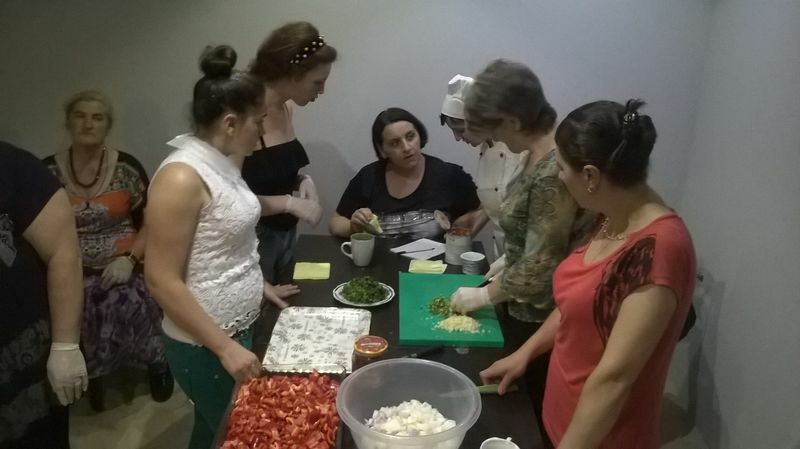 On July 6, 2016, in a frame of the project “ Sustainable development of women in Western Georgia – development of professional and personal skills” in Tsageri was held master class on “ Chef Specialty” by the initiative of the Fund of Women Entrepreneurs and by the request of beneficiaries. 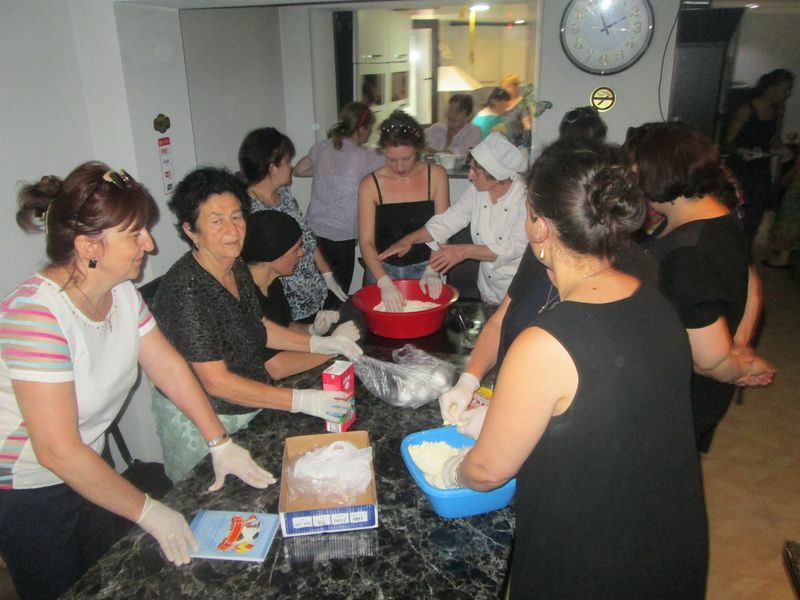 46 person took part in this master class. 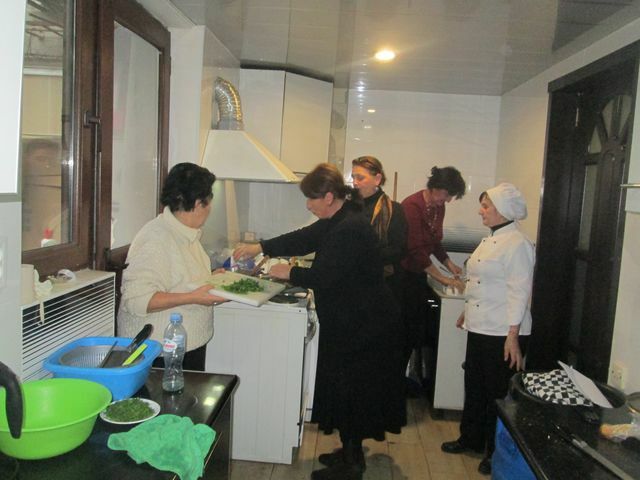 Including employees of the guesthouses from the villages of Kveda Tsageri, Gveso and Chkhuteli. 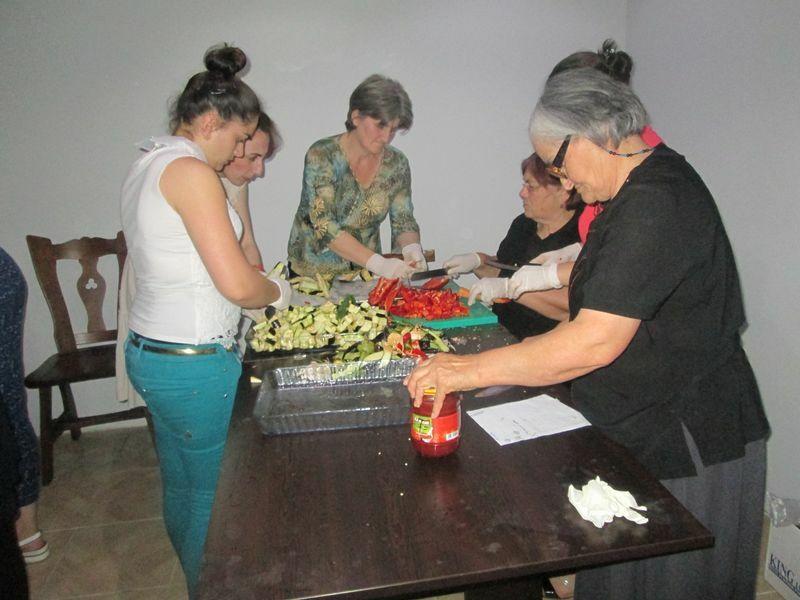 Master class led by a professional cook Ms. N.Nachkebia. 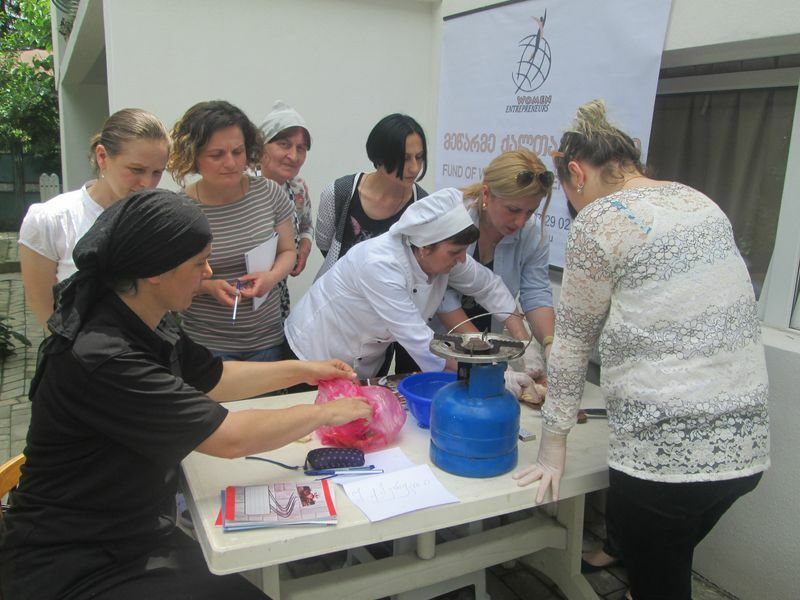 On April 28, 2016, the master class in “Beekeeping” was held by Fund of Women Entrepreneurs” within the project – ““Sustainable development of women in Western Georgia – development of professional and personal skills”” in which 33 people, including 15 men and 18 women (Kveda Tsageri, Gveso and Chkhuteli) have taken part has been held to Tsageri. 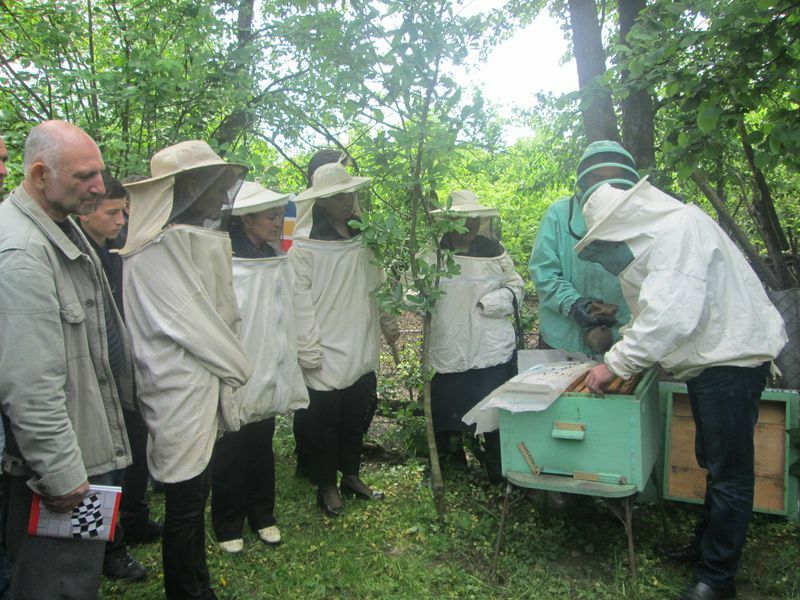 The master class was conducted by Amiran Akhvlediani the professional (as a beekeeper). 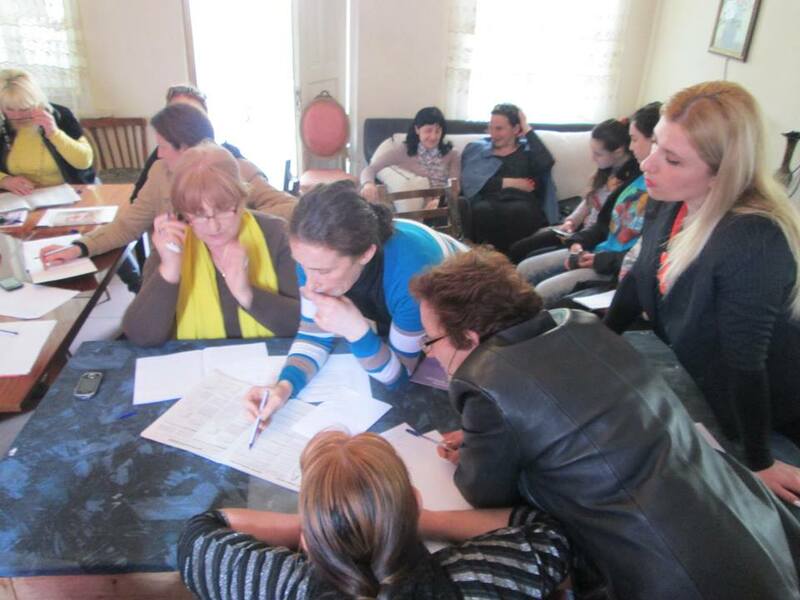 Our activists have participated in a master class (18) beneficiaries from initiative groups which have passed business consultation, and on the basis of received knowledge have submitted business projects on development “Beekeeping” in the announced competition by the state of Georgia “Develop, make Georgia.” They have passed all three stages of a competition and wait for financing. 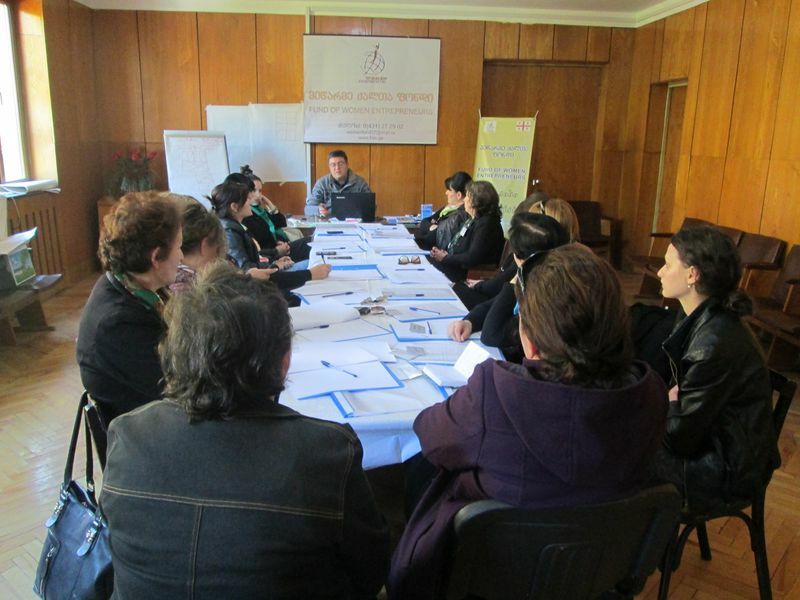 At a master class were present: representatives of local government structures (from Kveda Tsageri, Gveso and Chkhuteli), and also representatives of mass media. 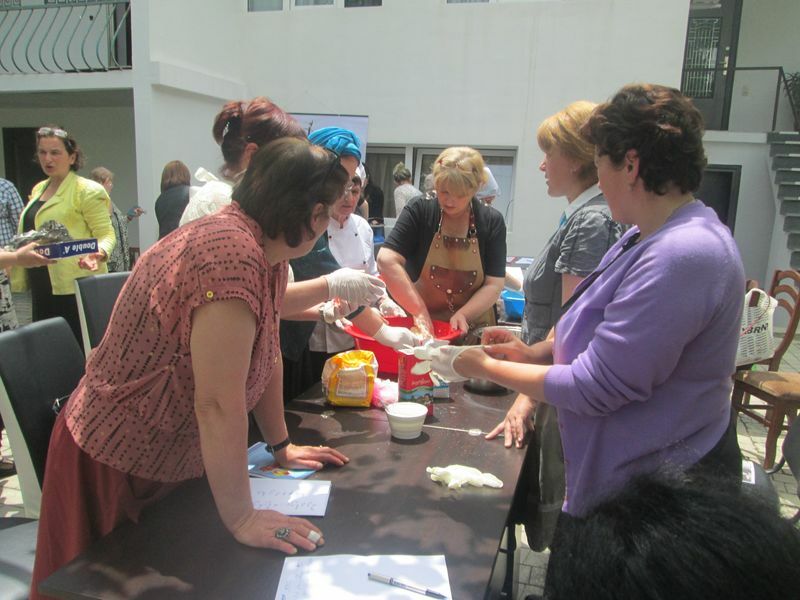 Soon in the middle of May, it is planned to held master classes of “stylist” and “confectioner” for development of professional knowledge and skills, in which, will take the part the women and men living in this region and who planned to develop their skills in this sphere. 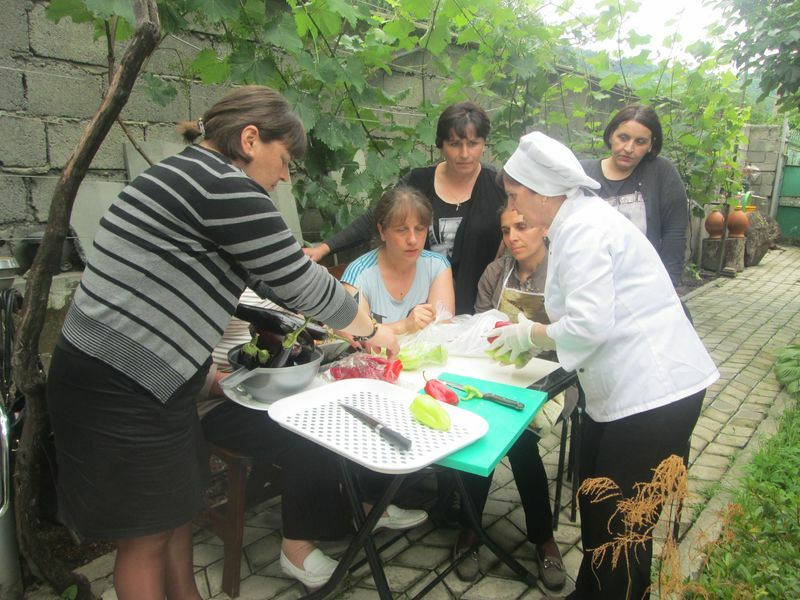 The fund of women entrepreneurs in the frame of the project “A sustainable development of women in the Western Georgia, increase of professional level and development of personal skills” has begun carrying out master classes by different professions in 3 villages of the region of Tsageri: Kveda Tsageri, Chkhuteli, Gveso and in the center of the area which are directed to professional development living in this region. 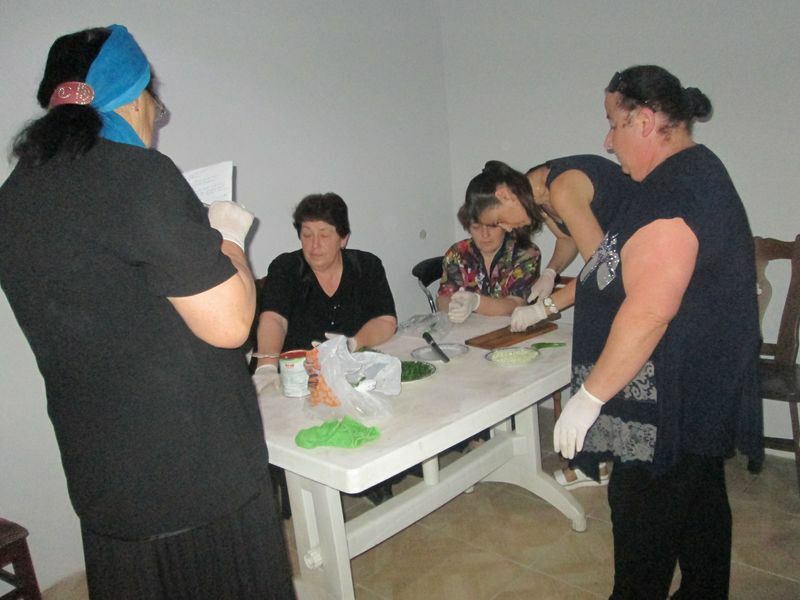 On April 14th of this year in Tsageri for the purpose of development of skills in “Individual sewing” there has passed the first master class where about 5 representatives from Tsageri’s center and of 3- villages have taken part: Kveda Tsageri, Chkhuteli and Gveso. 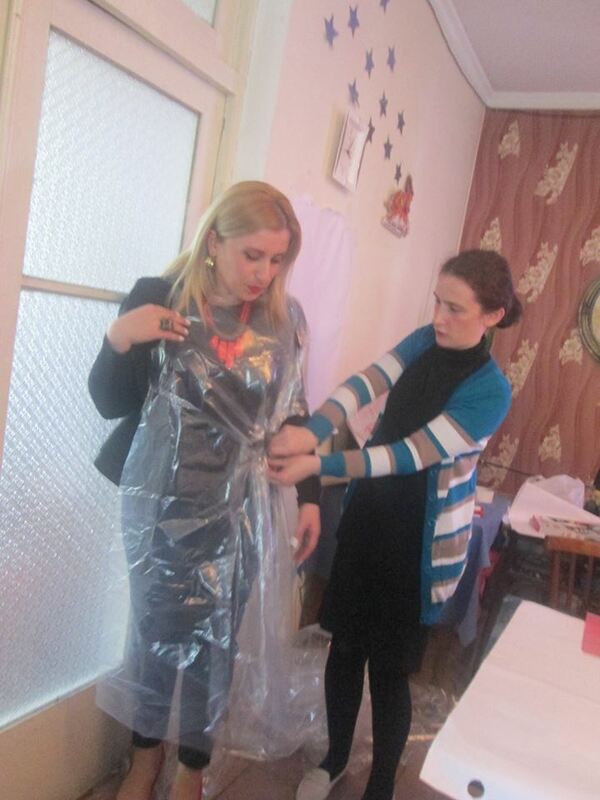 The master class was given by the participant of initiative group of Fund of women entrepreneurs – Nato Bendeliani who by profession is a stylist – the designer. 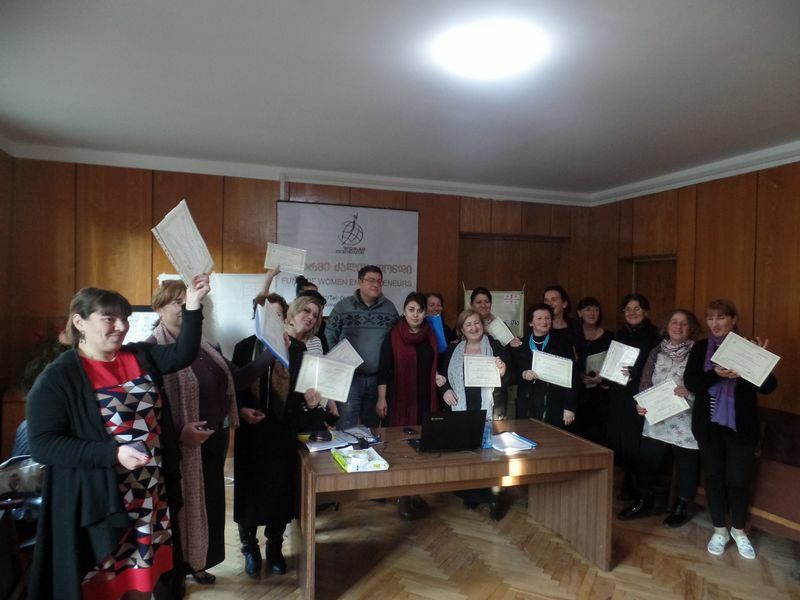 As a result of the trainings (Bases of small business) provided by us and consultations she has taken part in the program declared by the state – “Develop, make in Georgia”, she has received financing. Today she has own sewing enterprise. 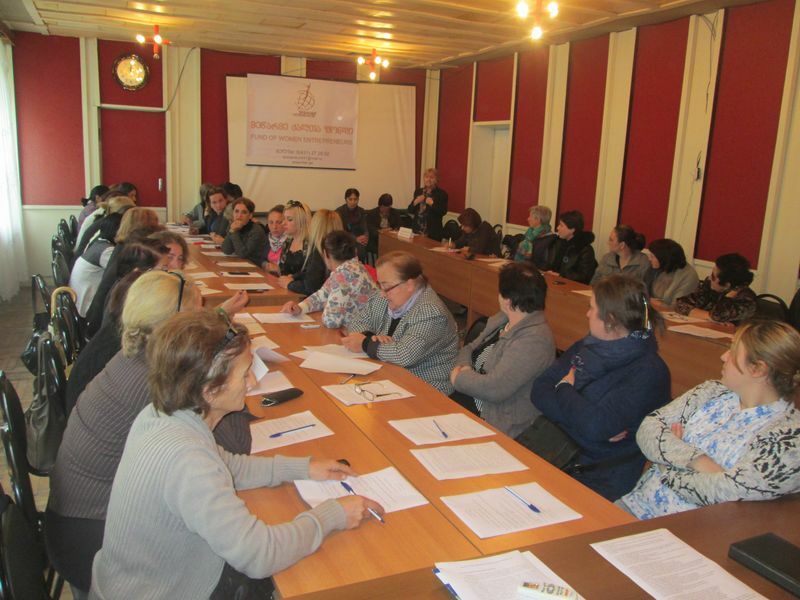 Not only women, and representatives of self-government of the region who were attended at a master class demonstrate that action was important about it: chairman of Tsageri Sakrebulo, deputy manager, attorney of the village. 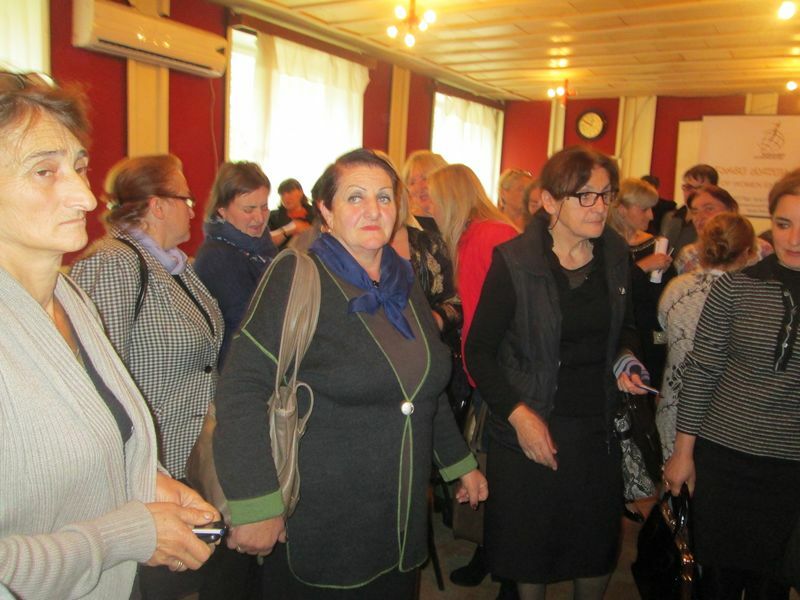 It should be noted that, Chairman of Tsageri Sakrebulo, to the women who are taking part at a meeting ,who have been employed in different services (only 6 women) and activity has been suspended because of insufficient financing by self-government, has given information on preservation of workplaces by him. For advocacy of the above-stated problem the Fund of women entrepreneurs has addressed self-government. 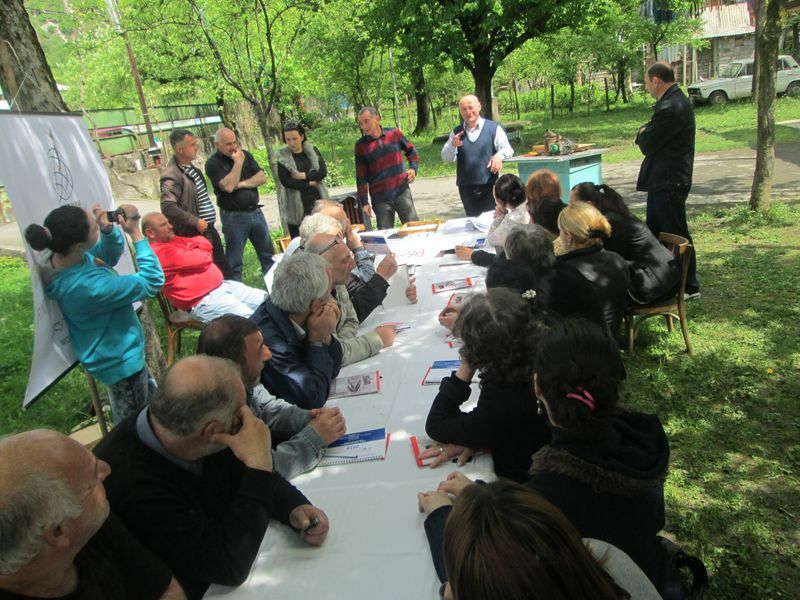 The problem has been solved at effort and active support of the majority deputy of Tsageri – Sergo Habuliani. 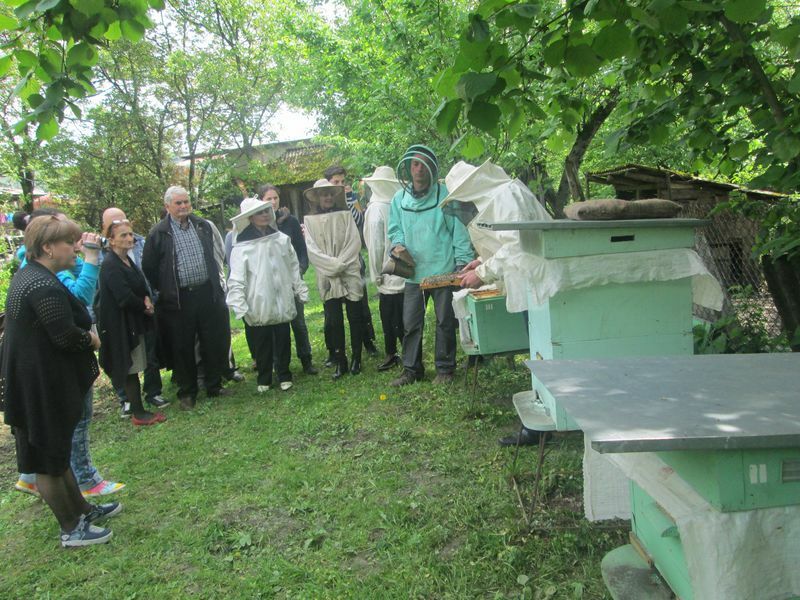 In near period on April 28, is planned the master –class on “Beekeeping” where the women and men living in this region who have bees and are going to develop skills in this sphere will take part in this master-class. 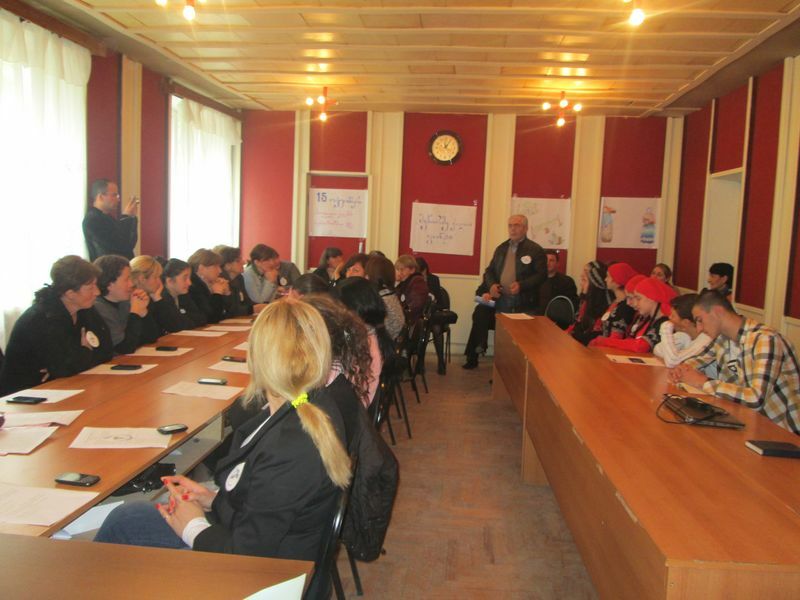 On November 4-5-6, 2015, “Women Entrepreneurs Fund” organized the training on- “International and national mechanisms of protection of women’s rights” in Tsageri Municipality. 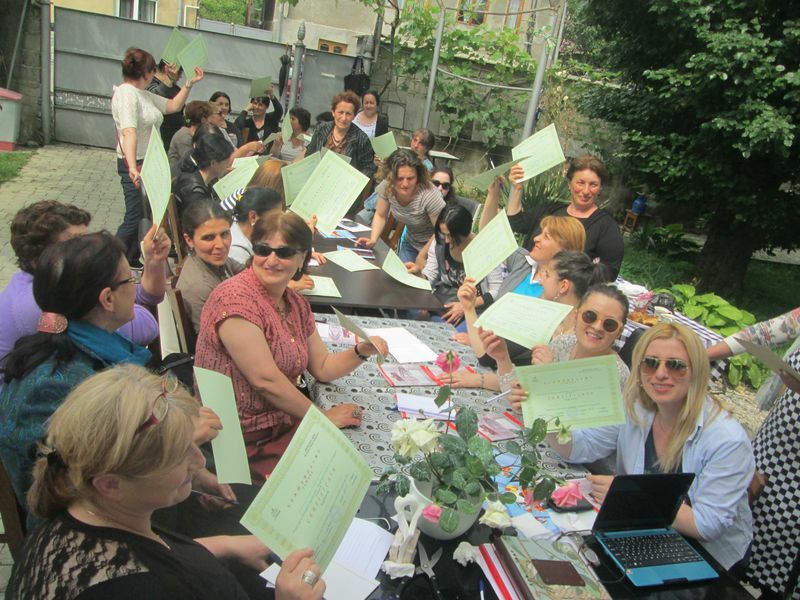 Participants were introduced to the Georgian legislation and international conventions in the field of women’s rights protection. 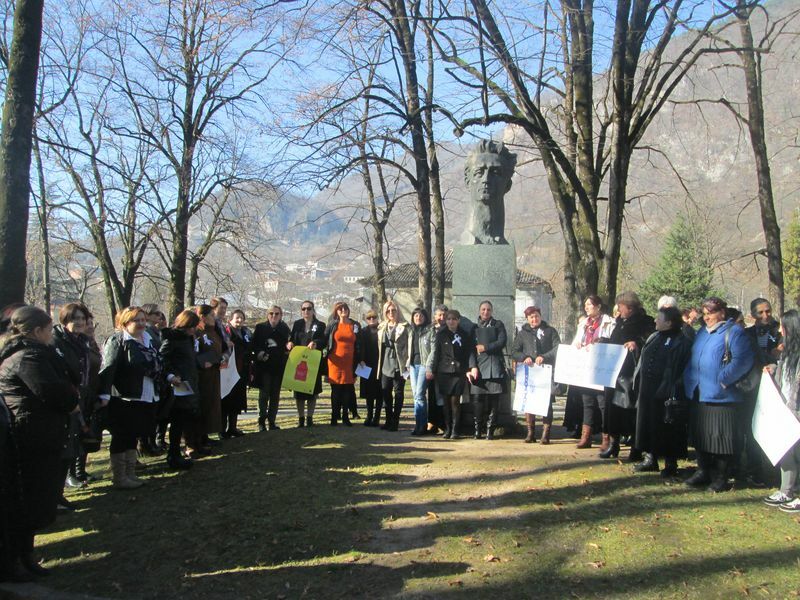 Participants deepened their knowledge on such issues as gender equality, domestic violence. 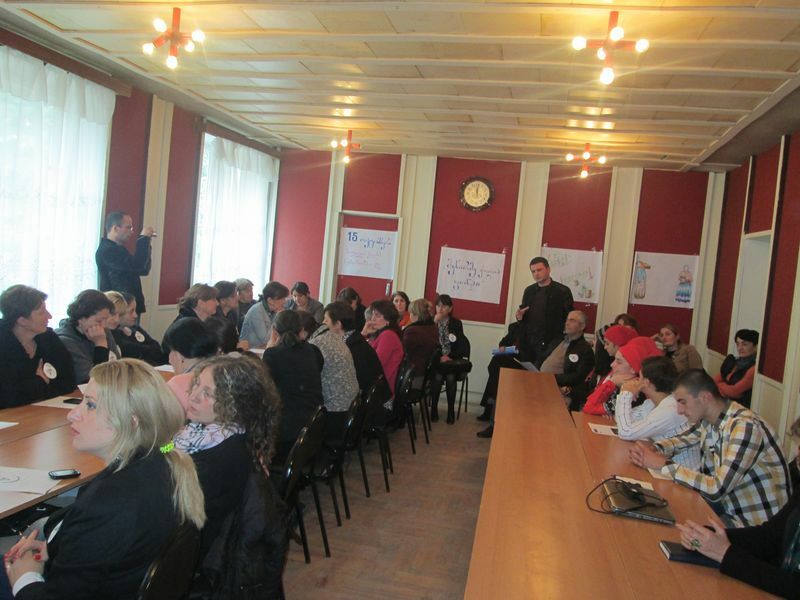 Three-day training was attended by representatives of local government of Lechkhumi. 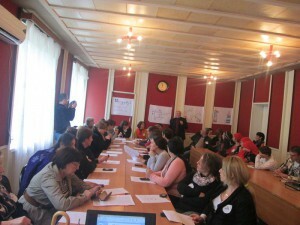 The training was attended by 18 people. 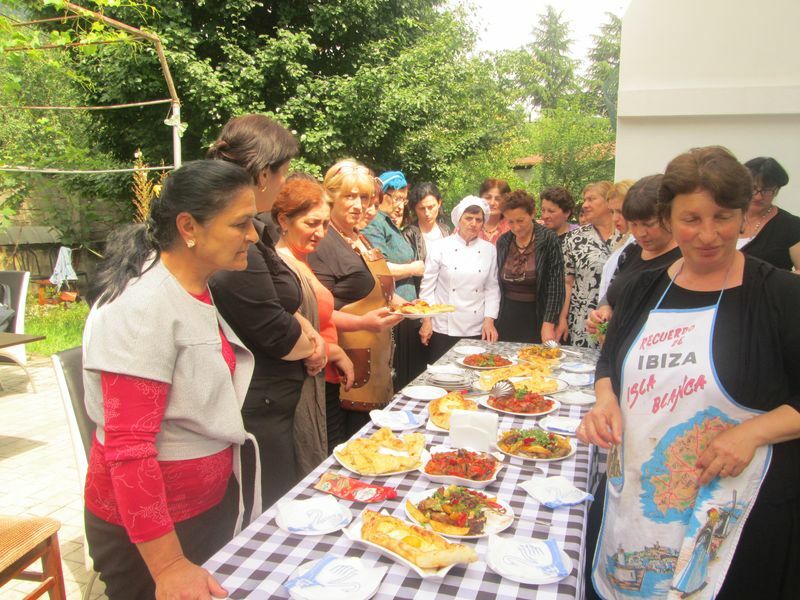 Many people, government agencies, community groups and non-government associations celebrate the International Day of Rural Women on October 15 every year. 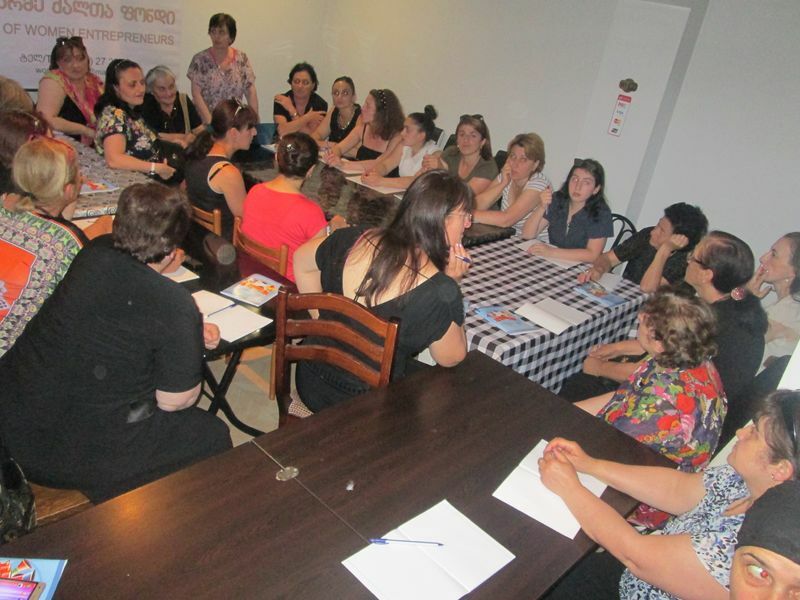 “Women Entrepreneurs Fund” reminds the public, how valuable these women work are. 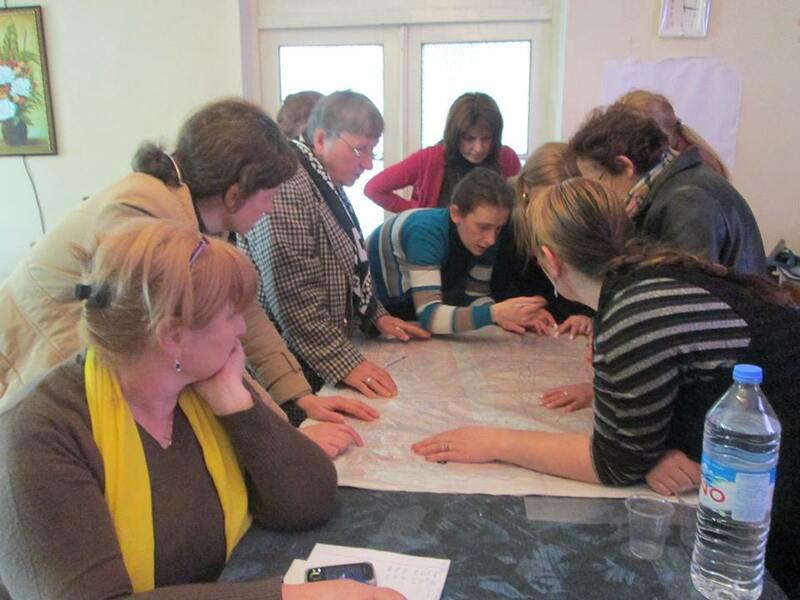 Rural women are playing a key role in maintaining stability in agriculture. 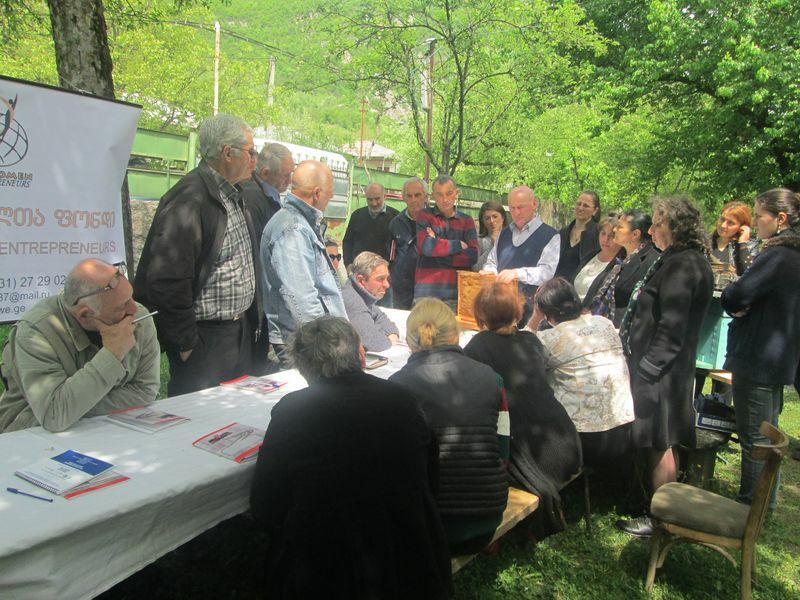 They often do not have legal remedy to protect the rights on their own land and the conditions for solving important problems, such as medical care, education, soft loan. 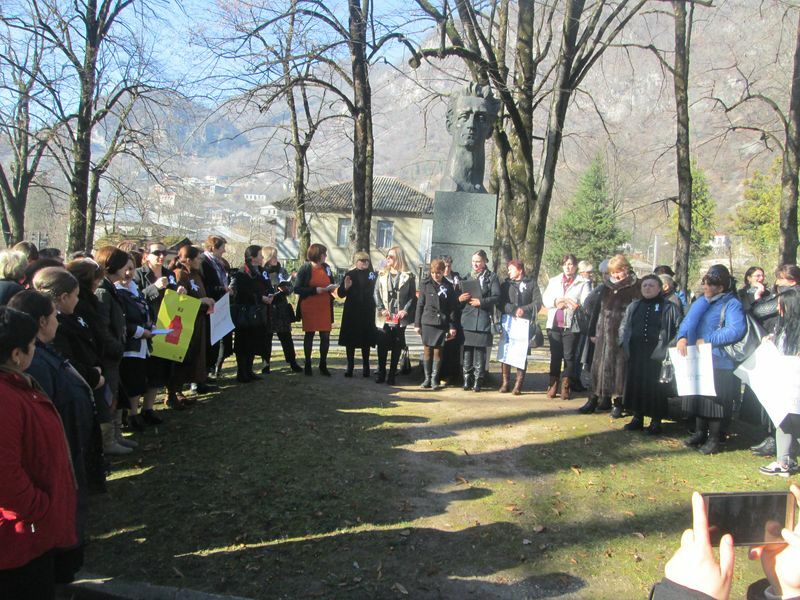 The idea of honoring rural women with a special day was put forward at the Fourth World Conference on Women in Beijing, China, in 1995. 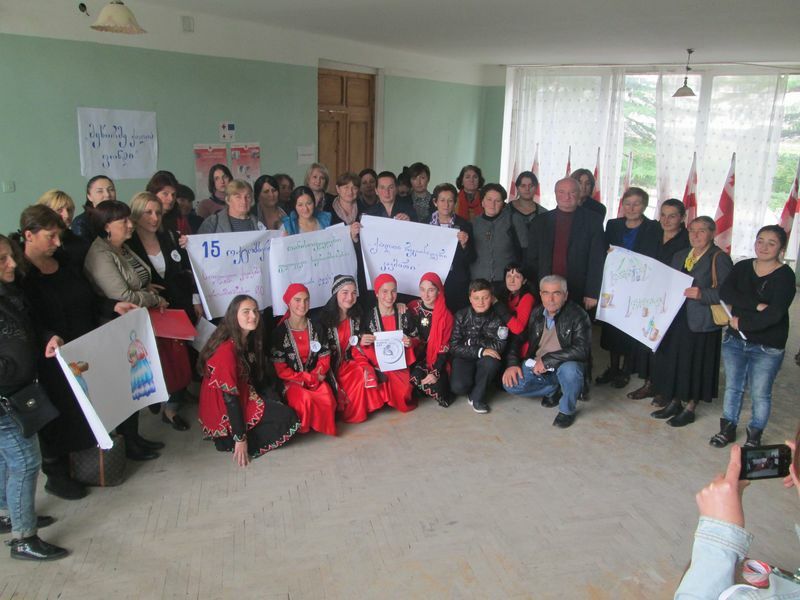 “We inform you that ,on October 15 , meeting regarding the celebration of International Day of Rural Women was held in Lechkhumi, in Tsageri Municipality , with the participation of: Women from Lower Tsageri, Gveso and Chkhuteli,as well as local government representatives; non-governmental organizations of Lechkhumi: “Women’s Regional Union of Lechkhumi”; “Women’s rights and gender equality network”; A / D for Democracy, the International Society for Fair Elections “and” Fund of Women Entrepreneurs “. 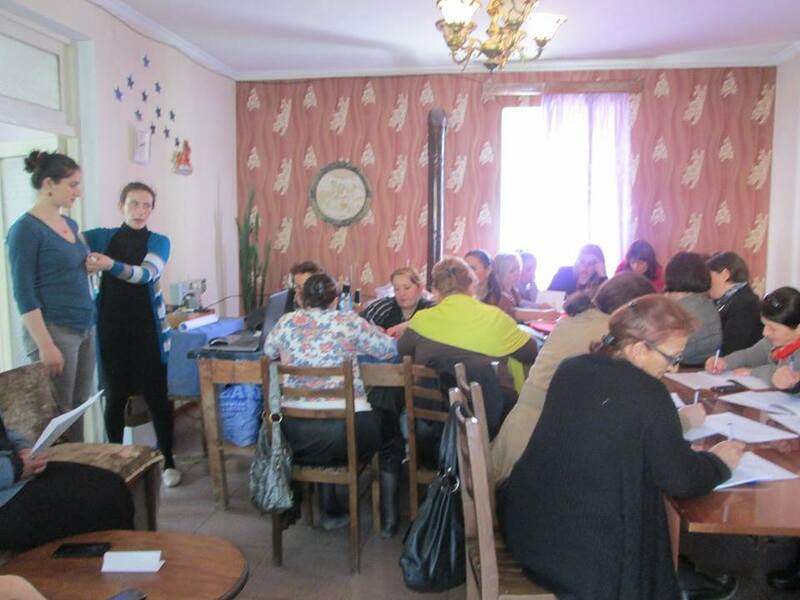 On September 25, 2015 at “Women Entrepreneurs Fund”, youth of three villages of Tsagery municipality: lowerTsageri, Chkhuteli and Gveso, _ passed preparatory training course: “Development of professional skills and abilities”. 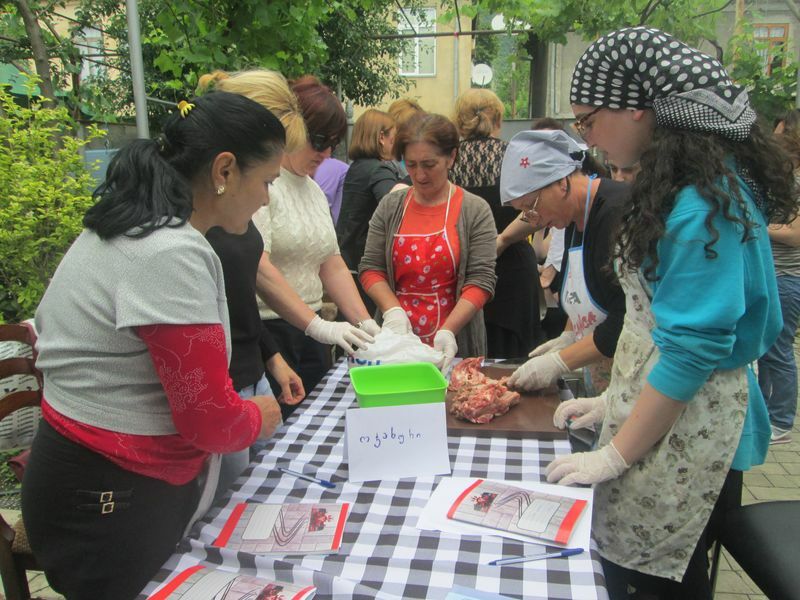 A preparatory course was completed by 8 people. 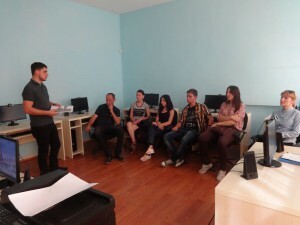 They chose professions of the office manager, the computer graph and specialties of information technologies. 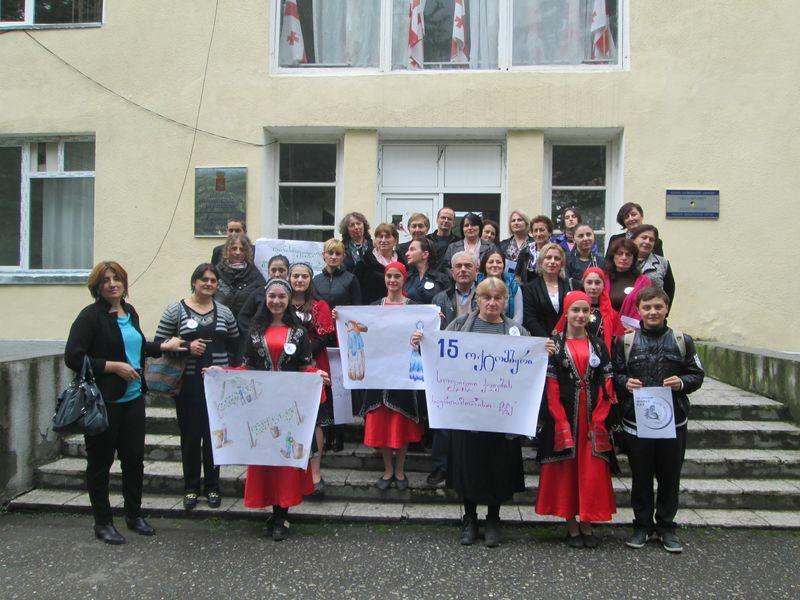 High points gathered: Saghinadze Salome and Davituliani Tamar _ 74 points (office manager), Kvirikashvili Nika _ 72 points (informational technologies) and Saghinadze Giorgi _ 70 points (computer graph). The youth, who successfully passed exams, will continue study in public college “Iberia” since November 2, 2015 and those who couldn’t break a barrier, will be prepared for the next time , in March 2016.